One of my favorite things to shoot Atlanta business headshots and headshots for creatives. It is really a distillation of the overall portrait process and focuses on getting people to come through the lens and create an engaging photo. 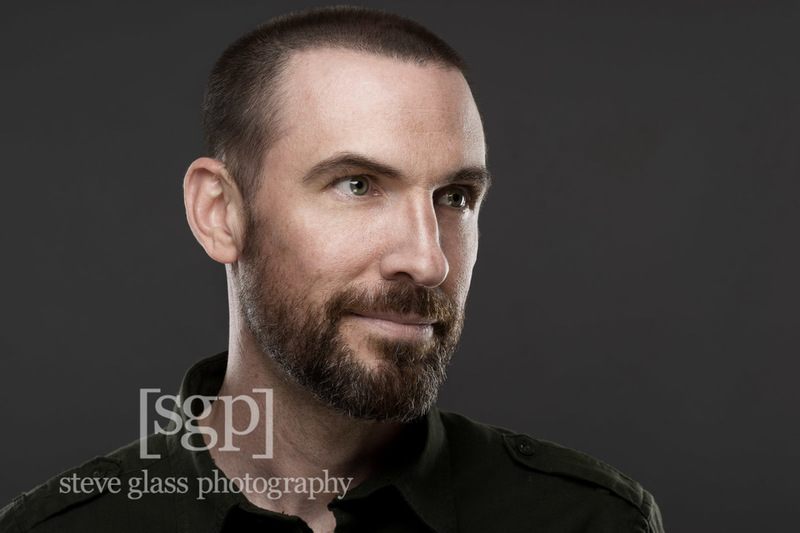 A good friend of mine stopped by to experiment and hopefully create a business headshot. Scott Cook, https://www.behance.net/scottcook, is a Creative Director and Designer as well as a great bass player. Scott lives with his family in the Atlanta area. Check out his Behance website for a sampling of his work. If you are interested in getting headshots for yourself personally, or for your business please give me a call or email me. I'm happy to come to your place of business, my studio, or some other location that you'd like to shoot in. It's not uncommon for me to shoot the staff headshots of eye doctor's, dentists, or other medical offices and businesses.I also offer headshots for actors and am available for modeling headshots, beauty shots and other photographs of professional models in the Atlanta area.